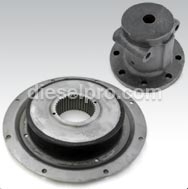 If you are struggling to find the Twin Disc MG5111A marine transmissions parts for your current major or minor engine repair projects, you can save yourself time and effort by shopping online with Diesel Pro Power. We are the largest online retailer that specializes in selling Twin Disc replacement parts in the world, and we always keep the parts you need in stock and ready to ship to you. This is why we can promise you a 24-hour turnaround time on shipments, and we ship to locations all around the world without limitations. 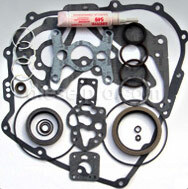 We truly give you a fast and easy way to get the parts you need for your engine. Through our website, you can find the best selection of parts for your engine, and this includes all of the Twin Disc MG5111A marine transmissions parts that you may be searching for. For example, you can find oil filtration parts, seals, gaskets and other components that may be required to complete your project. You could spend hours trying to find the right parts for your engine repair needs by driving around to local stores, or you can save yourself time and effort by shopping online with Diesel Pro Power. 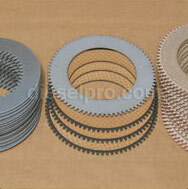 Many private owners as well as mechanics regularly use our website for all of their engine parts needs. Shopping for replacement parts can seem complicated and time consuming, and it can be if you do not shop with the right store. Diesel Pro Power is the trusted retailer that is known for friendly service, quality parts, great rates and an amazing inventory of products. 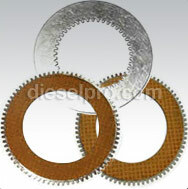 If you are shopping for replacement parts for your engine today, trust Diesel Pro Power.